The Artists' Suffrage League was founded in January 1907 by professional women artists to help with the preparations for the first large-scale public demonstration by the National Union of Suffrage Societies. 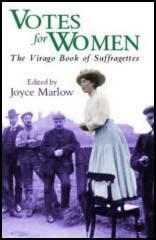 The chair-person of the Artists' Suffrage League was Mary Lowndes, an important stained-glass and poster artist. It later issued a statement saying that the organisation wanted "to further the cause of Women's Enfranchisement by the work and professional help of artists... by bringing in an attractive manner before the public eye the long-continued demand for the vote." Dora Meeson Coates was one of the most talented members of the group and provided a great number of posters for the NUWSS. 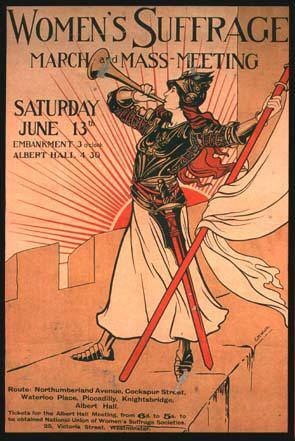 Probably the most famous poster was Bugler Girl by Caroline Watts, that was produced for a meeting on 13th June, 1908. The Artists' Suffrage League made over 80 embroidered banners carried in the 13th June 1908 NUWSS procession. They also designed sixteen different post-cards. Printed in black and white, they sold for 1d each. 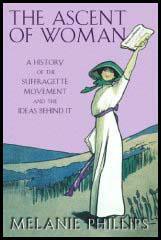 In 1909 the Artists' Suffrage League organised a poster competition. Duncan Grant won the competition with his poster, Handicapped!. 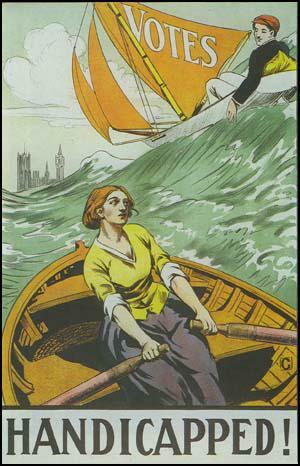 The Common Cause praised the poster's sense of humour and drew attention to the "stalwart young woman of the Grace Darling type... while a nonchalent young man in flannels glides by, with the wind inflating his sail - the vote." In 1910 they published ABC of Politics for Women Politicians that was written by Mary Lowndes and illustrated by Dora Meeson Coates. The Artists' Suffrage League has published in all ten of these posters and I can quite believe people are pretty tired of many of them, as, indeed, we are ourselves. I have been asked why we did not issue new ones for this last general election; it is this question that I want to answer. I need not dwell on the unexpectedness of the election when it finally burst on us, and the hurry with which the whole matter has been conducted. Such haste, however, affects nothing more than placards, as all observers may have noted for themselves. Apart from this our Society cannot well issue many posters till it disposes of the old ones. Coloured posters are expensive. To be able to sell them at fourpence each (without making any profit) we are obliged to have at least 1000 copies printed at the same time. Now, these copies sell off very slowly. When a society has ordered six of each sort it feels it has sent a large order, and that particular society probably wants no more for six months. But six copies of one design makes a very small inroad into a thousand. It takes us from one to two years to sell 1000 copies. We have laid out on this design ten to fifteen pounds, say, and this sum comes back in driblets. cannot print new posters till our monev returns, or till we have amassed large profits on selling postcards, or other objects.